Cost : God's love is FREE! 24 hour Adoration is on the Friday before the First Saturday of the month. Exposition of the Eucharist is immediately after the 8:30 am daily Mass. All other Fridays, Adoration is after the daily 8:30 am Mass and ends with Benediction at 4 pm. Our parish is in partnership with the Alliance of the Two Hearts during our 24-hour Adoration. 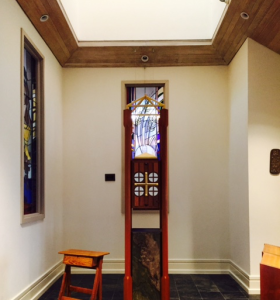 From 10 p.m. each Friday to 3 a.m. each Saturday, the Alliance will have worshippers in the chapel who will alternate between Rosaries and other prayers, and quiet meditation. With the participation of the Alliance of the Two Hearts, we no longer will schedule Guardians between 10 p.m. and 3 a.m. Those who have traditionally served as Guardians during those time periods are welcome to continue to Adore at those times, or they can choose to be Guardians at other times. What is the point of Eucharistic Adoration? 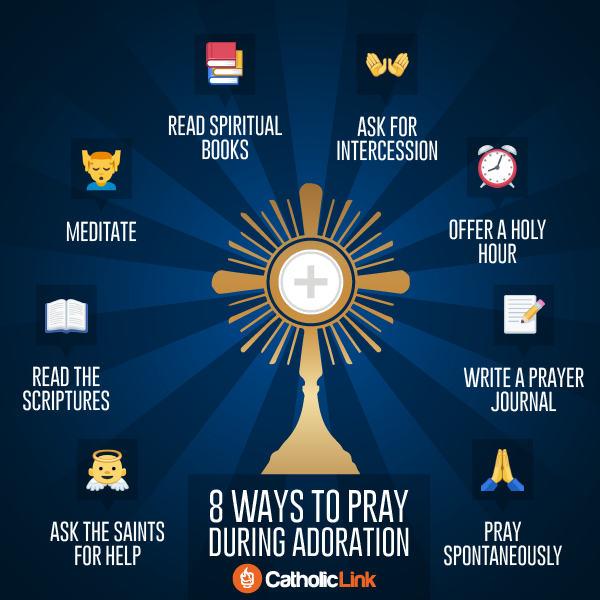 Don’t know what to do during Adoration? 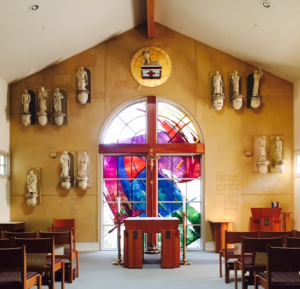 The Adoration Chapel is located behind the Main Sanctuary. You may enter from the left side of the church near the outdoor statue of our Blessed Mary. How does one spend an hour before Jesus exposed in the Blessed Sacrament?